MINI Malaysia recently introduced the New MINI 3 Door and the New MINI 5 Door. This are the first models to be introduced in Malaysia since the third generation MINI was introduced in 2014. 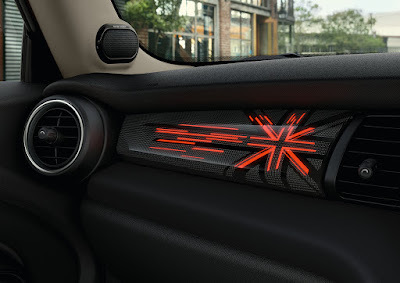 The new models feature emotive, signature design elements such as the new MINI Logo Projection, LED Headlamps and Union Jack Tail lamps with Day Time Running Lights (for the very first time) as well as new logo elements on its body to distinguish the car further from its previous iterations. The engines weight have an overall reduction of up to eight kilograms improving its fuel consumption radically and fully meeting the latest Euro 6c Standard. This includes the progressive use of Carbon Fibre Reinforced Plastic (CFRP) on the engine cover. 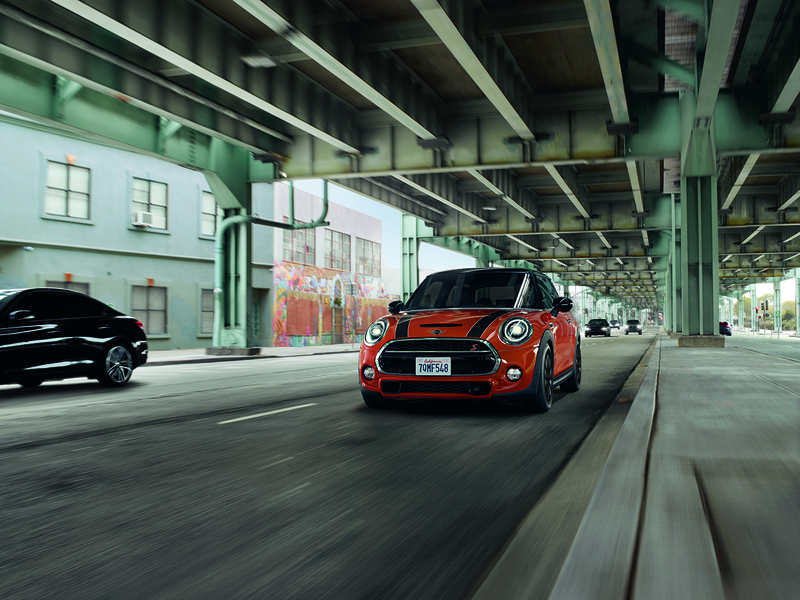 The Coasting experience which was previously only available via the GREEN mode is also now possible in the MID mode with The New MINI. The feature intuitively shifts the engine to idle when the foot is off the accelerator pedal when cruising. 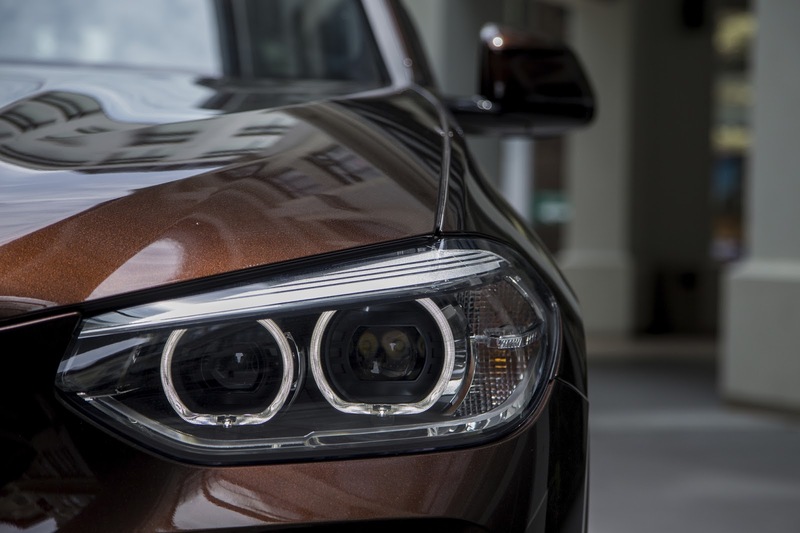 The front beams are powered by Bi-LED lights, and at a flick of the indicator will switch the LED daytime running lights to the LED indicators. MINI Malaysia also introduces the MINI Yours Customised Accessories for the first time ever in South East Asia, which allow retrofit components such as side scuttles, cockpit facia, LED Door Sills Finishers and LED Door Projector to be produced according to the customer’s personally designed specifications. The classic MINI logo has also been refreshed for all models with subtle modification and a sharper contrast. The re-interpretation of the existing logo now features a two-dimensional "flat design", reflecting the new brand identity with its focus on the essentials – driving fun, distinctive design, premium quality and emotional appeal. Also, with the MINI Logo Projection, drivers are now greeted by the new logo beamed on the ground every time they step in and out of their MINI. 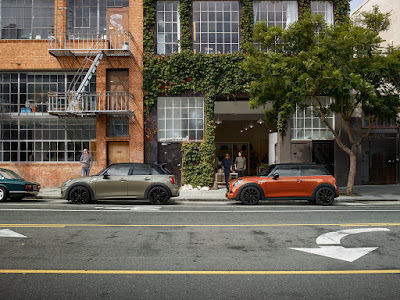 The New MINI Cooper S 3 Door and the New MINI Cooper S 5 Door are the first MINIs in the family to be equipped with the 7-Speed Dual Clutch Transmission and an electronic gear shifter. 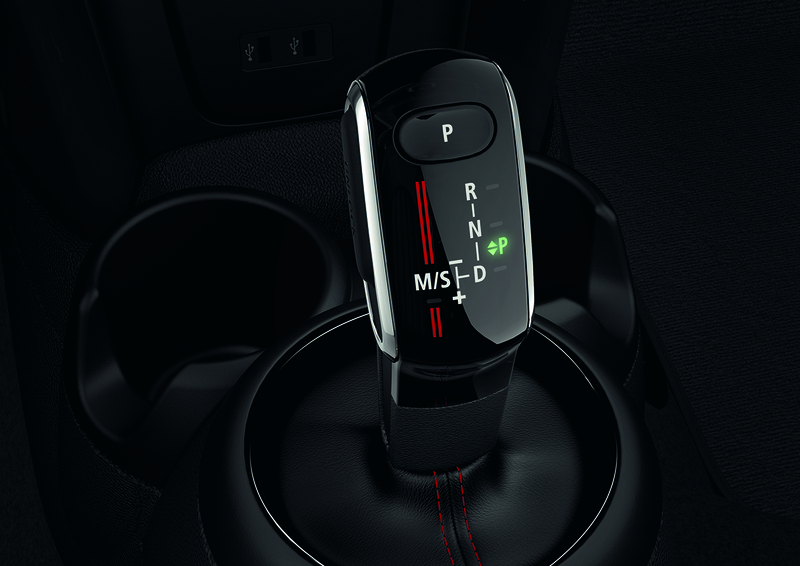 The 7-Speed Dual Clutch Steptronic Sports Transmission consist of two sub-transmissions to ensure no delays and thus more comfort in shifting gears. With sub-transmission 1 aligned for gears 2, 4, 6, and the reverse, and sub-transmission 2 for gears 1, 3, 5, and 7, such optimum efficiency means the next gear will always have been pre-engaged on the other sub-transmission. The new transmission type is helped by the purely mechanical function of the torque converter. The expanded gears and bigger gear shift spacing also contribute to less fuel consumption and CO2 emission. 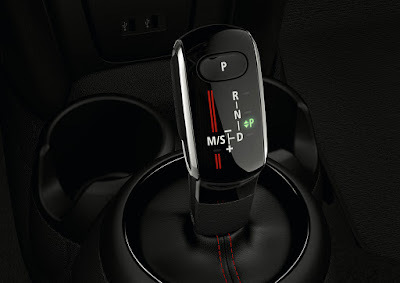 Additionally, the newly designed electronic selector lever ensures that the gear always returns to its original position after changing between driving mode D, neutral position N, and reverse mode. The car stands out with the 17” Cosmos Spoke in Black, where a coat of special black paint provides a more dynamic look that gives the rims a high-gloss finish and deep black paint effect. 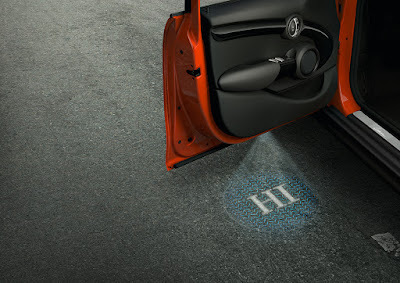 The challenges of reversing in and out of tight spots are now a thing of the past as the New MINI 3 Door is newly installed with the Rear View Camera. 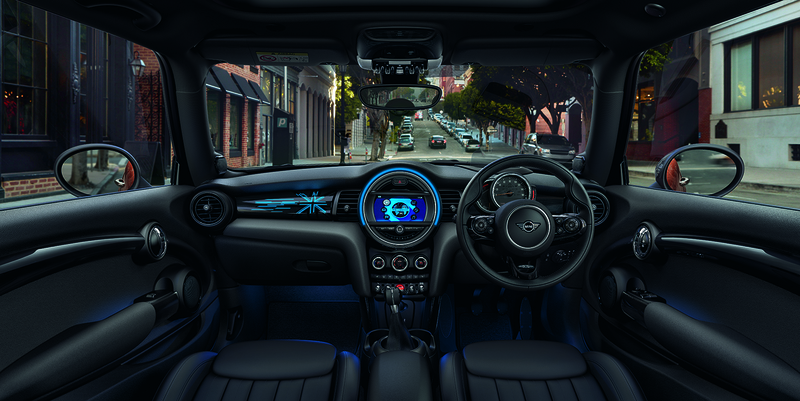 The interior of the New MINI 3 Door comes with the backlit MINI Yours Illuminated Cockpit. 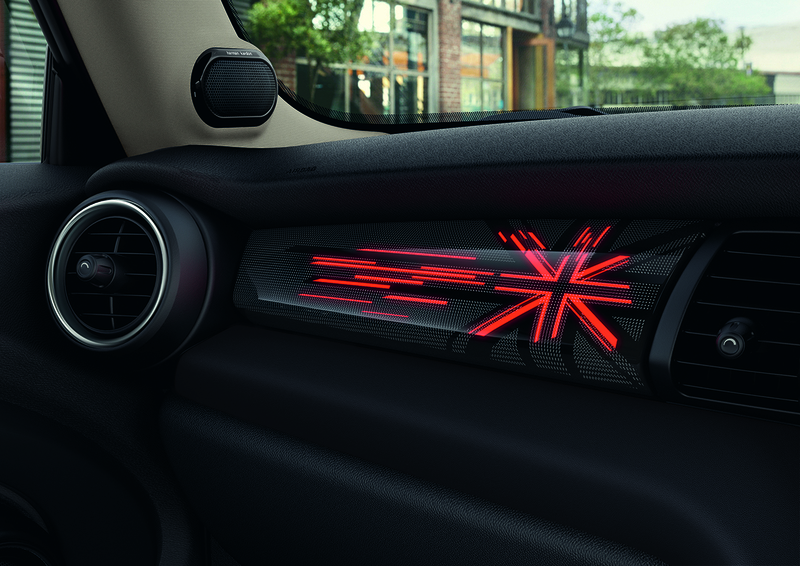 The display lights up with a stylised Union Jack, offering 12 colours that are sure to suit every mood of every driver. 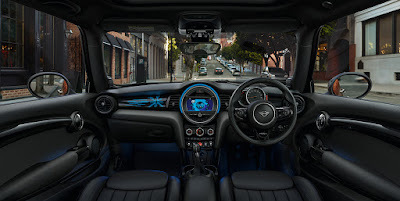 The interior finish of the New MINI 3 Door keeps up the MINI comfort and sophistication by being fitted out with Leather Cross Punch in Carbon Black. 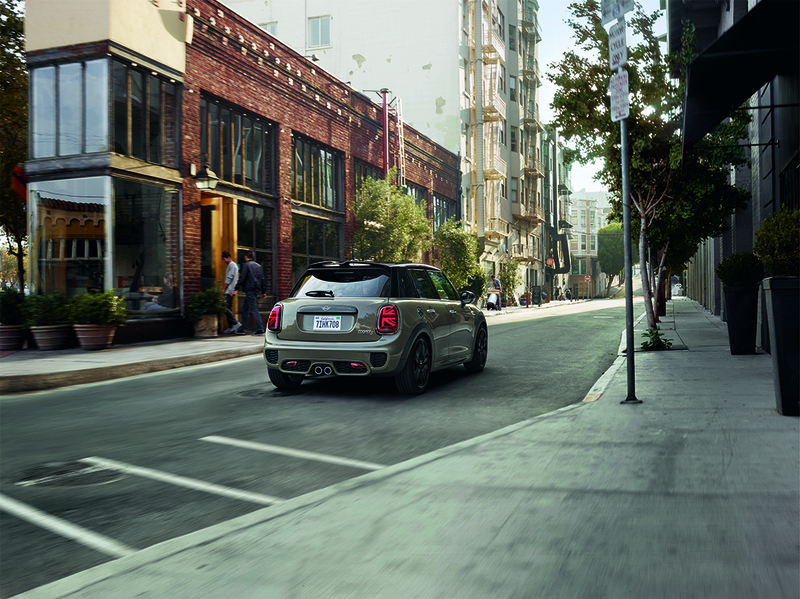 The wheels for the New MINI 5 Door impress with the stunning high gloss 17” John Cooper Works Track Spoke in Black, exclusively developed for optimum weight support and fitted with run-flat tyres. 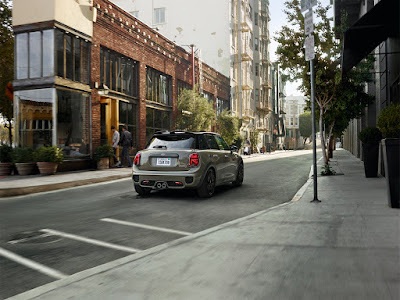 An attractive new standard feature for the New MINI 5 Door is the John Cooper Works Aerodynamic Kit which confers the New MINI with the eye-catching rear spoiler. 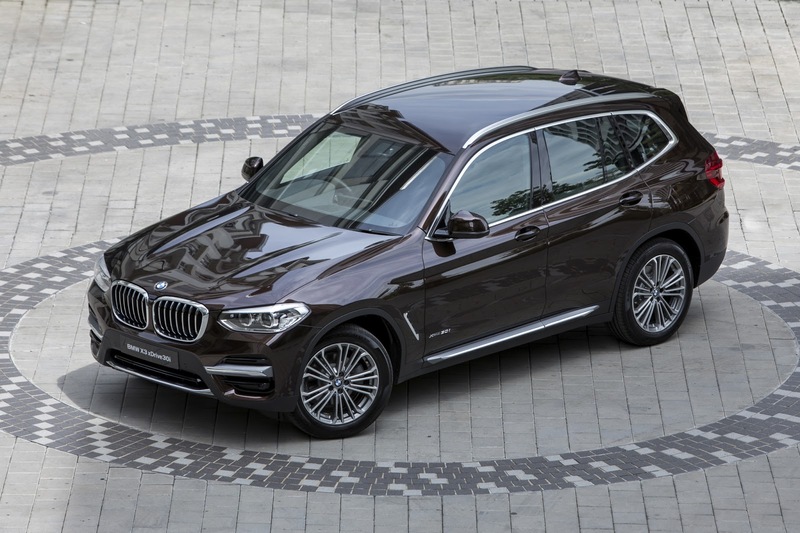 BMW Group Malaysia today introduced the third generation of their mid-sized Sports Activity Vehicle (SAV), the new BMW X3. The vehicle will be locally assembled for the first time in the country. 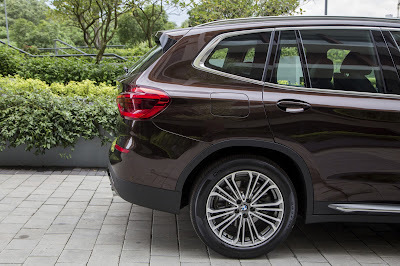 The exterior dimensions of the new BMW X3 may be largely unchanged, but has a five-centimetre-longer wheelbase, long bonnet and short front overhang, which according to the company, emphasise the perfect 50:50 distribution of weight between the front and rear axle. As for changes in the external design, the front end has the “three-dimensional” kidney grille treatment and foglamps and features a hexagonal design for the very first time on a BMW X model. It also features high-beam assistant which switches head lights to high beam automatically when needed. 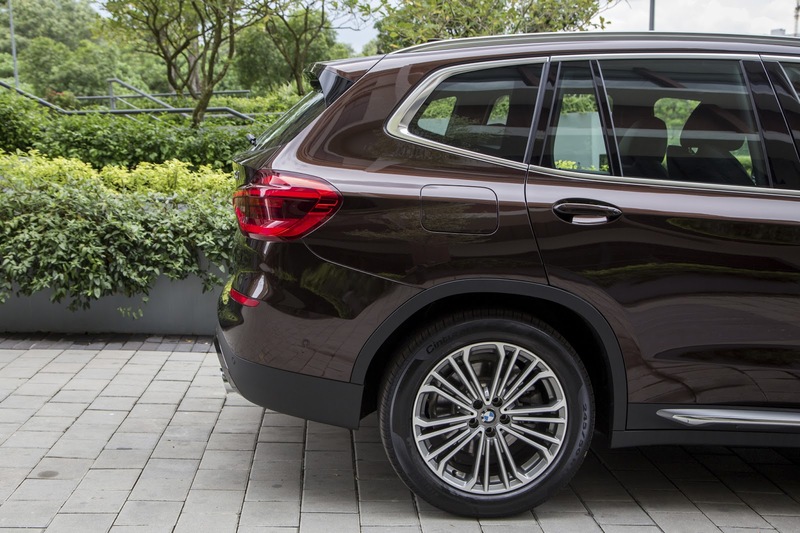 The BMW X3 sits on 19” light alloy wheels Double Spoke bicolour Ferric Grey. The vehicle is powered by a TwinPower Turbo 2.0 in-line four-cylinder petrol engine and comprises of TwinScroll turbocharging, High Precision Injection, Double-VANOS variable camshaft control and Valvetronic fully variable valve timing. With an 8-speed Steptronic Sport transmission, the BMW X3 is capable of sprinting from 0-100km in 6.3 seconds at a top speed of 240 km/h. The All-New BMW X3 is capable of generating a maximum output of 252hp and 350Nm of torque. 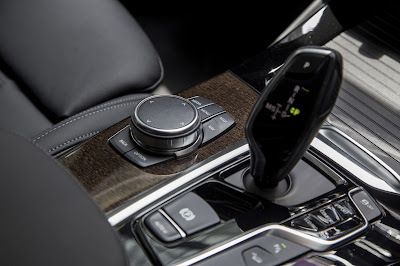 Furthermore, the standard Driving Experience Control switch allows the driver choose between various configurations – i.e. ECO PRO, COMFORT, SPORT and SPORT+ modes, all of which are designed to make the vehicle more dynamic, more comfortable or more efficient to drive. The Dynamic Stability Control (DSC) allows the power to be split between all four wheels which can be constantly varied. Complementing the off-road capabilities is Hill Descent Control which helps maintain the SAV at a steady pace when driving down a steep incline. 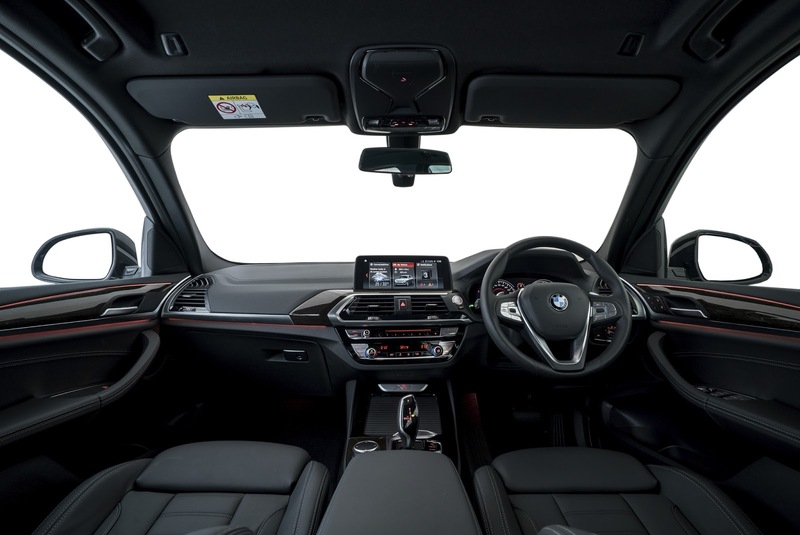 The interior design includes the exclusive BMW X embossing which is highly visible on the B-pillar, enter console and rear door trim. The Leather Vernasca with contrast stitching sports seat, with padded side bolsters looks great. 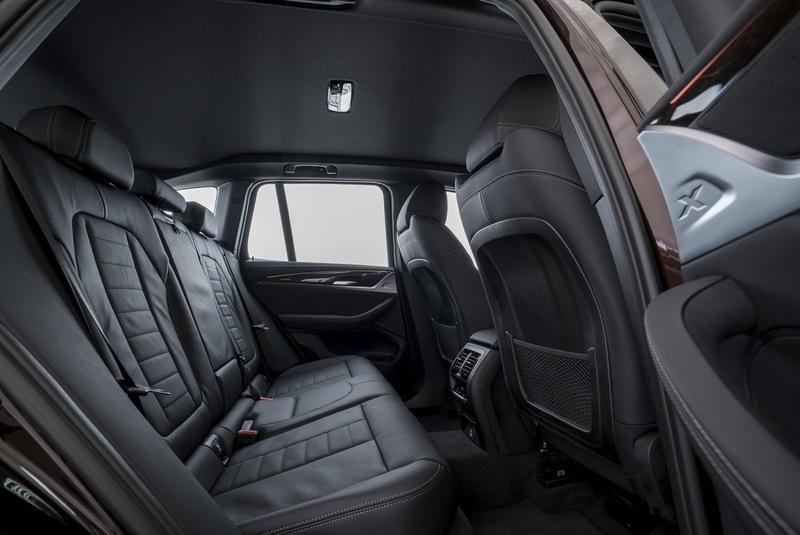 The Luxury Line offers leather upholstery, a Sensatec-covered instrument panel with contrast stitching and Dark Oak fine wood interior trim strips with accent strip in Pearl Chrome. The SAV also comes with 6 ambient light colours tones (orange, lilac, mint, bronze, blue and white) with selectable contour and mood lighting. The 10.25-inch Central Information Display is located above the instrument panel with touch control functionality, provides a quick overview of the most pertinent information and offers users intuitive access. 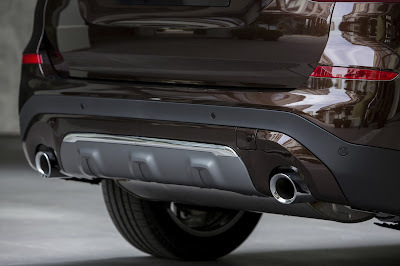 The rear camera, with Park Distance Control which provides an acoustic and visual (distance only) warning of the obstacle behind the vehicle. 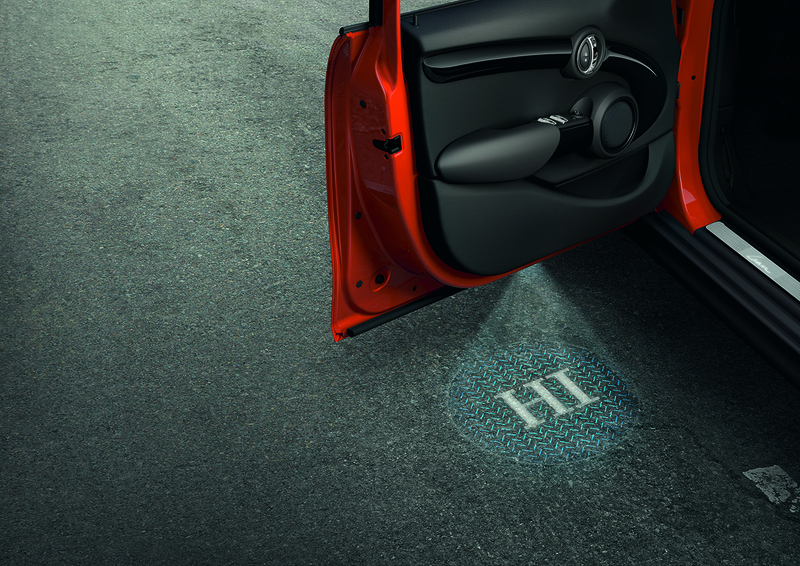 To assist the driver further, the Parking Assistant aids with automatic parking into parallel and lateral parking spaces. Customers have a choice of 4 colours, namely, Terra Brown, Black Sapphire, Glacier Silver and Alpine White. The new BMW X3 will be available at all authorised BMW dealerships nationwide from the 25th April 2018 with deliveries expected to commence in July 2018. The estimated retail price (on the road, without insurance) for the BMW X3 xDrive30i is RM 320,000.00. The Top Gear team has set a new Guinness World Records title for Fastest Tractor. 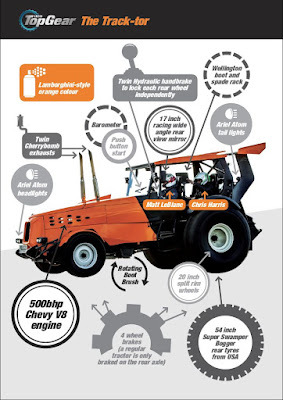 Led by Matt LeBlanc, and driven by The Stig, the Track-Tor -a modified high-speed tractor reached a speed 87.2mph on the set of Top Gear on Wednesday, March 14th. Engineered at the Top Gear Agricultural Technology Centre, the ‘Track-tor’ is a 500-brake horsepower, Lamborghini-style orange-colored farming automotive Frankenstein powered by a 5.7 liter Chevy V8 engine and supported by 4-wheel brakes, adjustable air suspension and 54-inch tires. And in true Top Gear style, it’s also fitted with a push button start, a barometer and a Wellington boot and spade rack. Have had some really bad experiences with some really nasty Malaysian drivers recently. A car scrapped my car near the University of Malaya and while I moved to the side for safety, the other driver just drove away. Spent half the day yesterday reporting a traffic accident at the police station in PJ. Last Thursday, a lady hit my wife's car from behind in Damansara Utama. They got down and the lady apologised profusely. They had a chat, exchanged contact numbers and agreed to settle. However, they lady said that she did not have enough money and my wife agreed to take the money when she got her salary. I guess this is something not uncommon with a number of Malaysians living from salary to salary. 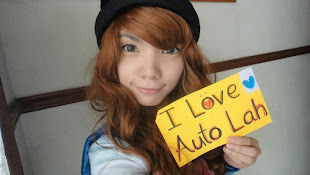 Anyway she agreed to come to a workshop near our house in PJ on the weekend to find out the damage and she drove away. We thought it was settled. Next day the drivers' mum, a really rude lady, called up my wife and started shouting. She wanted us to come to their workshop in Segambut which is nearly one hours away. Later she only wanted to pay only RM150 without even getting an evaluation from the workshop, which her daughter agreed to do. She even accused my wife of threatening her darling baby daughter. Mind you, the lady who hit my wife's car is nearly 30 years old. My wife was shocked as the other driver WAS AT FAULT. In the conversation that followed, for no reason, she even mentioned that she was an accountant and drove a BMW. WTF has that got to do with the accident. She hung up but the daughter agreed to come on Saturday and settle. On Saturday, nobody turned up and simply ignored my wife's texts. The damage was not that bad but their attitude really made us angry. That left us with no choice but to lodge a report with the police. We went to the police station in Damansara Utama which then directed us to go to the Balai Polis, Jalan Penchala, PJ. Apparently, we were not the only people who has faced a similar situation as there were so many people who agreed to settle but didn't. The police had some advice for us which I thought I should share with you guys. If you are even in an accident and you are not at fault. Stop the car. Take pictures of the damage and the number plate of the other vehicle. Then get contact details of the other driver. And if the other party wants to settle. Observe the attitude of the person. If you feel uneasy - say that they don't have money or do not agree to accompany you to a workshop to get the damage evaluated - forget about settling. Lodge a police report within 24 hours and claim from their insurance even though it may be some trouble. Jose Mourinho is UK's first Jaguar FType Coupé customer.